A tour of the heavenly island of Mykonos!! A tour of the heavenly island of Mykonos!! With an exclusive and amazing video that highlights the unparalleled beauty of the island, the journalist and owner of Mykonos Live Tv Peter Nazos invites us to escape to Mykonos! Among the picturesque narrow streets, next to the churches and the monasteries, behind the freshly painted shutters, through the living tradition, the vitality of the night, the rocky hills and the heavenly beaches, the island of the wings can not hide its incomparable charm. Walk in the idyllic cobbled roads, dive into the deep blue and experience the unique atmosphere of the "queen" of the Cyclades. 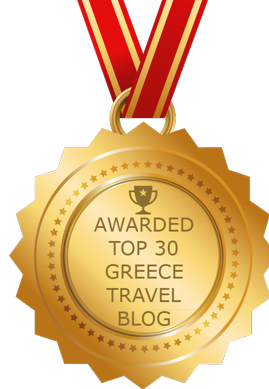 This is Mykonos, a top vacation choice! 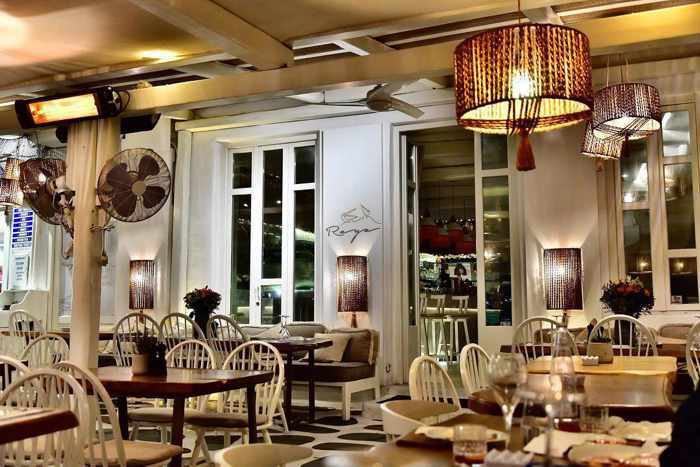 Intriguing island: It seems everybody loves Mykonos, Countless people love its atmospheric beaches, restaurants, shopping, and nightlife, and happily spread the word about how fantastic everything is. 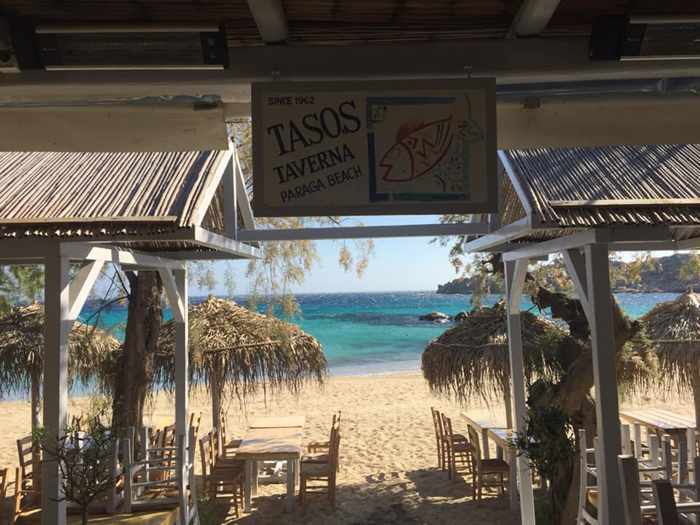 And there are likely just as many who love to criticize and complain, warning anyone who will listen not to go to Mykonos because it’s overpriced, overcrowded and overly commercialized. With so much talk, whether by exuberant fans or equally enthusiastic detractors, it’s no wonder Mykonos is the most famous of all the Greek islands. Remember the expression “There is no such thing as bad publicity?” Well, Mykonos gets plenty, yet its popularity continues to soar. I think there’s a very simple reason: Mykonos has tremendous visual appeal. Watch the two videos I’ve published in this post, and it’s easy to see why millions of people want to go there. Professional photography helps, no doubt, but similarly enticing images of the island’s breathtaking sights and scenery have appeared for many years in news and social media, travel publications, lifestyle websites, fashion and design magazines, and hit movies all around the world. Heck, I’ve been to Mykonos more than any other place in Greece, yet these videos make me feel like rushing right back. The film at the top of this post, produced by Mykonos LIVE TV, does a great job of selling the island’s good looks. It presents fabulous views of the iconic landmarks and attractions that have made Mykonos a household name over the past five decades: beaches, bougainvillea, brilliant white buildings, charming churches and chapels, the Little Venice seafront, the photogenic pelican, the impressive Alefkandra windmills, the incredible blue skies and turquoise seas, the sensational sunsets, and much more. However, there is another popular expression that applies to Mykonos: “Beauty is only skin deep.” Although the narrator of the Tripment travel website film, below, makes a point of mentioning the island’s biggest blemishes, warts and flaws, the video views of bustling beaches, streets and bars do a convincing job of selling Mykonos as an incredibly attractive, exciting, and vibrant place to vacation. Acknowledging that the island can be extremely expensive and overcrowded during peak season (July and August), the narrator describes Mykonos as “the ideal destination to boast one’s wealth and happiness.” Still, there’s that matchless beauty and alluring aura that make people dream of taking a trip to Mykonos..
“The all-white Cycladic architecture, in combination with the blue colour of the sea and sky, creates really beautiful scenery,” the narrator notes, adding that the 25 Mykonos beaches — “quite a large number” considering the island’s small size — are all “beautiful, with golden sand and crystal-clear blue water.” They might be jam-packed with rental sunbeds and umbrellas, too, but they still look so damned inviting! And that’s a really good thing, in my humble opinion. 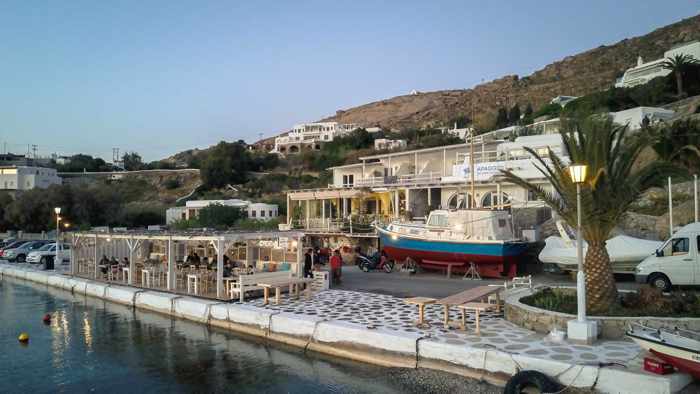 Even if you can get there only briefly, whether on a cruise, a day tour or a short stopover en route to another island, Mykonos is absolutely worth seeing. There’s nowhere else like it, and that’s a good thing, too. 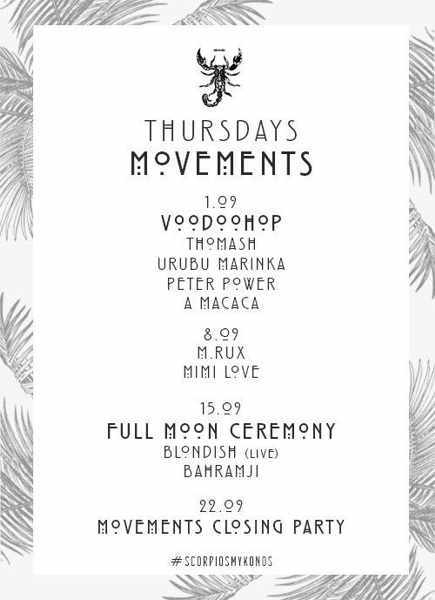 Late summer lineups: For weeks I’ve been receiving daily email requests for details of September party events on Mykonos, but haven’t been able to give anyone any information because nothing had been announced. 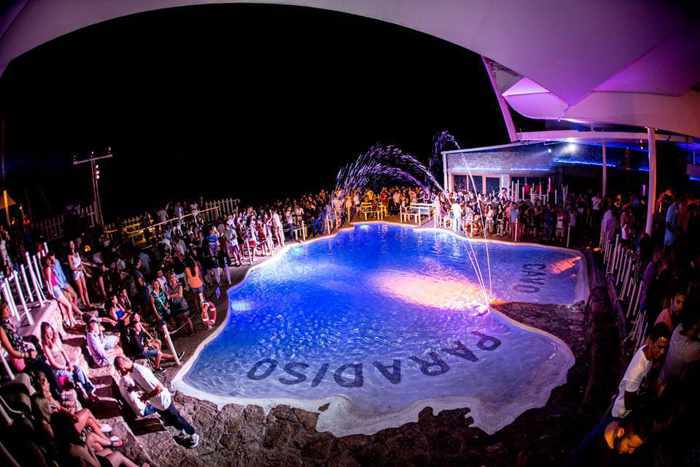 Until today (August 9), that is, when Cavo Paradiso updated its summer 2016 DJ lineup to show events scheduled up to the middle of September (the club traditionally ends its season around mid month). Cavo will be holding 13 parties in September, with the last set for September 23. See page 2 of this post for more details of the events taking place at Cavo, as well as to see flyers for parties being presented at other clubs and bars. I will be adding other September parties to this post, as well as events taking place in early October, once dates have been announced, so keep checking back for updates. Bear in mind that many clubs do not announce events until as little as 24 to 48 hours before they are scheduled to take place, and some events are not advertised at all. 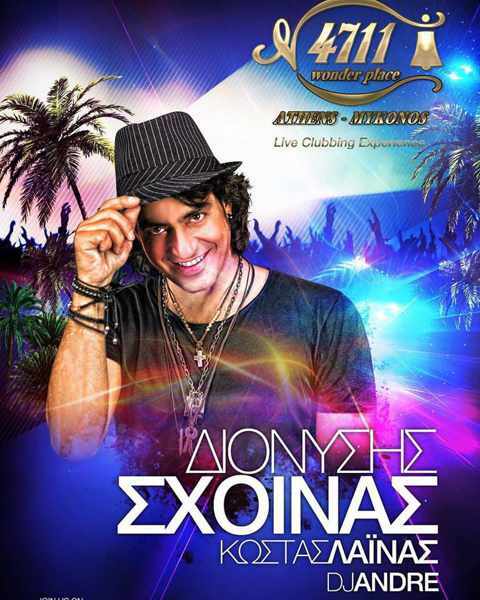 Click here to see a list of live jazz, rock, Greek and other music shows taking place on Mykonos during September. And click here if you would like to see party events that have taken place during other months of 2016.